THE ASK - TO CREATE A 2018 CALENDAR FOR ‘THE IMPRESSION MAGAZINE’ WITH ‘FUTURE’ AS A THEME. 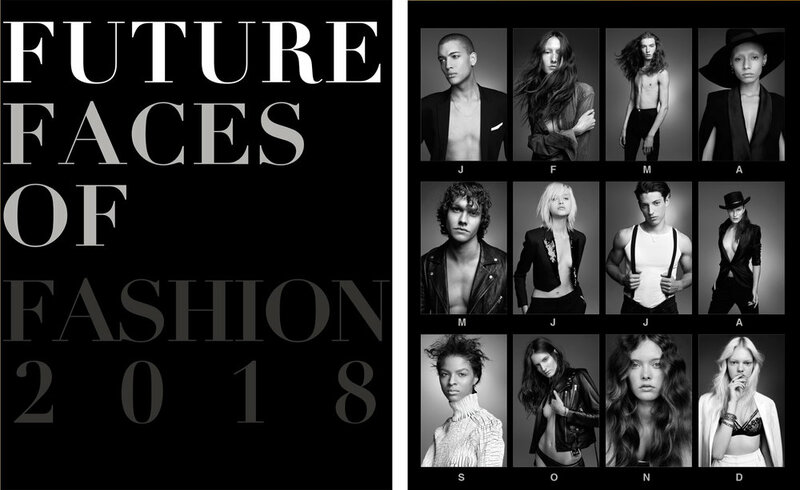 THE IDEA - A SERIES OF TIMELESS BLACK AND WHITE PORTRAITS DEPICTING ‘THE FUTURE FACES OF FASHION’ WITH THE COLLABORATION OF NEW YORK MODEL MANAGEMENT AND THEIR NEW FACES. THE DESIGN WAS SIMPLE, STYLING TIMELESS, TO REFLECT THE CLASSIC ELEGANT STYLE OF PHOTOGRAPHY.